The idea to send a telescope into space to get around the quality loss in images due to the Earth’s atmosphere is not new. It was first described by Hermann Oberth in his book “By Rocket Into Planetary Space“ in 1924. However, as with most ideas that are ahead of their times, it took a very long time for this one to be made a reality, too. It only started gathering pace in the 1970ties, after the moon landing, when everything seemed possible. 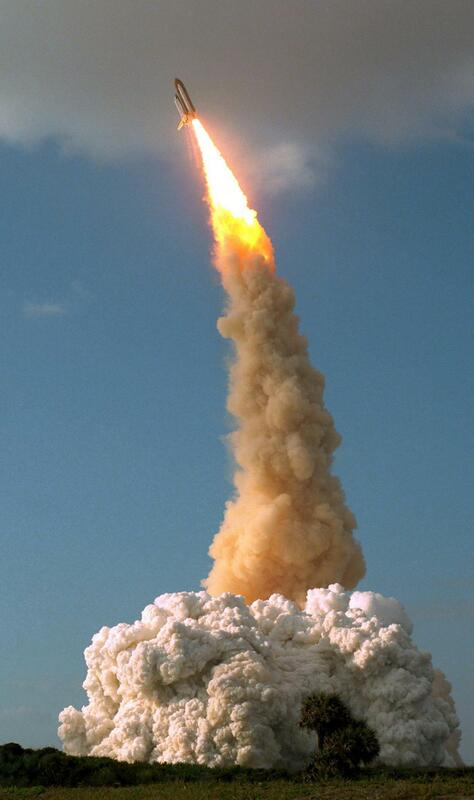 Originally, the Hubble Telescope was intended to start in 1986, but after the Challenger catastrophe and the temporary cancellation of the shuttle program, the start was postponed a number of times until it finally took place on April 23rd, 1990. The following day, the gates to the cargo bay of the space-shuttle Discovery got opened and the telescope maneuvered into orbit. Since then, it circles the Earth and provides us with breath-taking pictures of both our cosmic neighbourhood and the depths of space. Thanks to upgrades to the telescope over the years, Hubble was able to increase its original, planned running time of ten years considerably. The most famous of the so-called “servicing missions” was STS-61– which was carried out between December 2nd and December 13th in 1993 – during the course of which Hubble was cured from its “shortsightedness”. 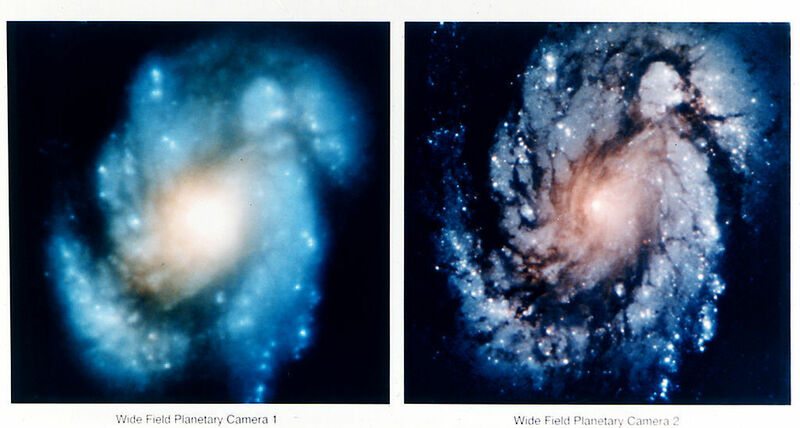 Left you can see the photo that was taken before the modification of the “Wide Field Camera”, and on the right, after. 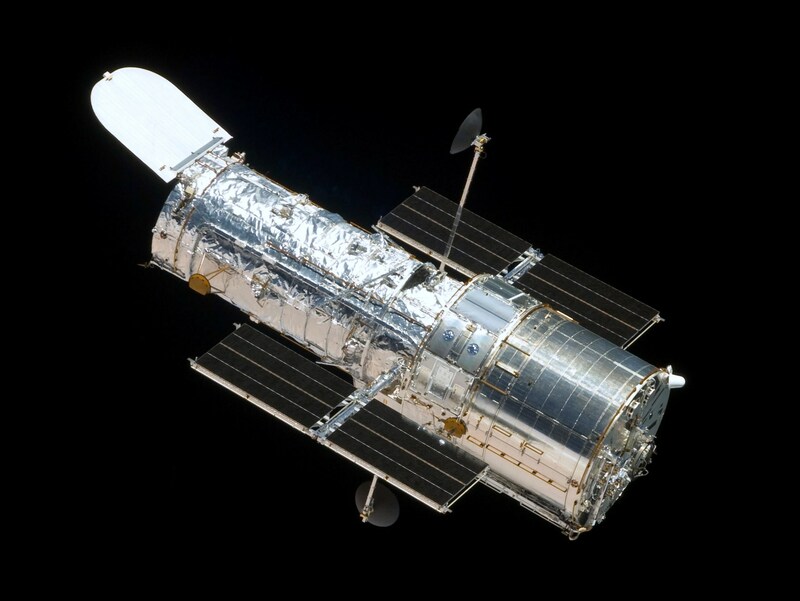 More information on the Hubble telescope and a number of different events in honour of its 25th birthday can be found on spacetelescope.org and hubble25th.org.